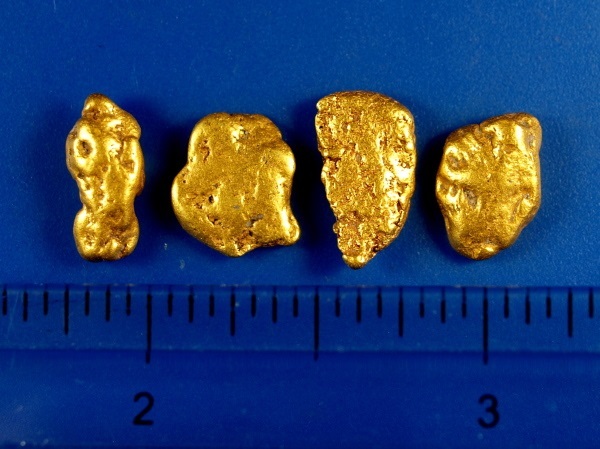 Four gorgeous gold nuggets from Siskiyou County, California. These beauties are nice smooth placer nuggets with a combined weight of 1/4 oz. (7.80 grams) and would make a fine addition to any gold collection.